Oscar Niemeyer is the name of the famous and renowned Brazilian architect who, with 104 years, continues to amaze the world with his works. 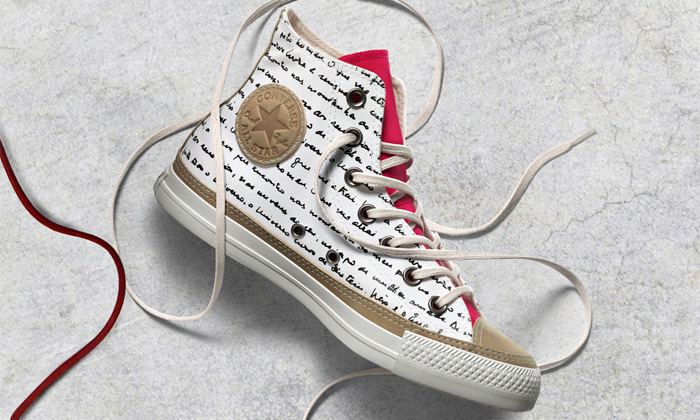 Thus Converse decided to honor him in life through a collection of shoes inspired by his work. Thus launched days earlier this limited edition named Converse x Oscar Niemeyer. There are five pairs of the most recognized models: Chuck Taylor All Star (Hi and Ox), Jack Purcell, Chukka Boot and Skidgrip. Five pairs taking as a starting point those most emblematic buildings of the architect, his style and philosophy. Therefore, each shoe is a reinterpretation of the curves that characterize the works of Niemeyer and the characteristics of each. Made of canvas and leather in white and red accents that recall of Auditorium Ibirapuera in Sao Paulo, they were developed in collaboration with Oscar Niemeyer Foundation. Moreover, in some cases it may be read by the architect's famous phrase that says: "It is not the right angle that attracts me, nor the straight line, hard and inflexible, created by man." While it was known that, at least for now, will be launched for sale in exclusive stores in Brazil for a price of between 83 and 133 dollars.